Find out how dental implants could replace your missing teeth for life. If you are trying to decide the best way to treat your tooth loss, find out how getting dental implants in Prior Lake might be the best choice. Dental implants are a long-term solution to replacing one or more missing permanent teeth. The implant acts similarly to a tooth root, providing a strong foundation from which to hold an artificial tooth. Dental implants can even hold dental bridges and dentures to replace an entire smile. What should I expect when I get dental implants? While getting dental implants takes several months and up to a year to complete, you will be left with a long-lasting replacement tooth. The first phase of treatment requires us to drill a small hole into the jawbone where your missing tooth once was. Then we will place the implant, which looks like a tiny metal post, into the drilled hole in the bone. Then we will stitch up the gums and allow several weeks to heal. During the healing process a phenomenon known as osseointegration takes place. This is when the surrounding tissue and bone begin to fuse with the metal implant, which makes the implant a permanent structure without the mouth. Once this is complete, we will uncover the implant and place a metal abutment on top of it. This abutment serves to connect the implant and the artificial tooth. Lastly, a dental crown is fabricated to match the rest of your smile and then permanently cemented to the abutment to replace your missing tooth. Dental implants restore smiles and boost both appearance and self-esteem. Furthermore, implants are resilient and durable and won’t move around like dentures or bridges will. Implants also preserve facial structure and jawbone density, which other tooth replacement options can’t offer. In fact, dental implants actually stimulate the growth of new, healthy bone cells. While dental implants don’t require special care it’s vital that you still brush twice a day and floss daily. This will ensure that cavities and gum disease do not form. 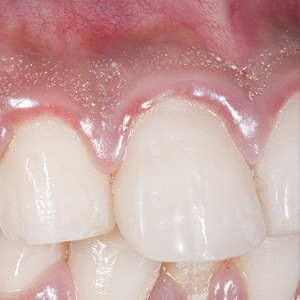 Also, you should not smoke if you have dental implants, as this increases the likelihood that your implant might fail. If you want to replace your missing tooth or teeth with implants, then start now. Schedule a consultation with your Prior Lake dentist at Babcock & Morgan Family Dental today.